26 January 2017- A new report indicates that one third of tropical timber traded globally comes from illegal deforestation. The significant number stems from an increase of timber traded on domestic markets, which are less regulated and strict than international, export-oriented markets. More than 40 renowned scientists from around the world, including scientists from the Center for International Forestry Research (CIFOR), produced the authoritative report, which was launched at the Conference of the Convention on Biological Diversity (COP13) in Cancun, Mexico last month. The study was coordinated by the International Union of Forest Research Organizations (IUFRO) on behalf of the Collaborative Partnership on Forests (CPF). 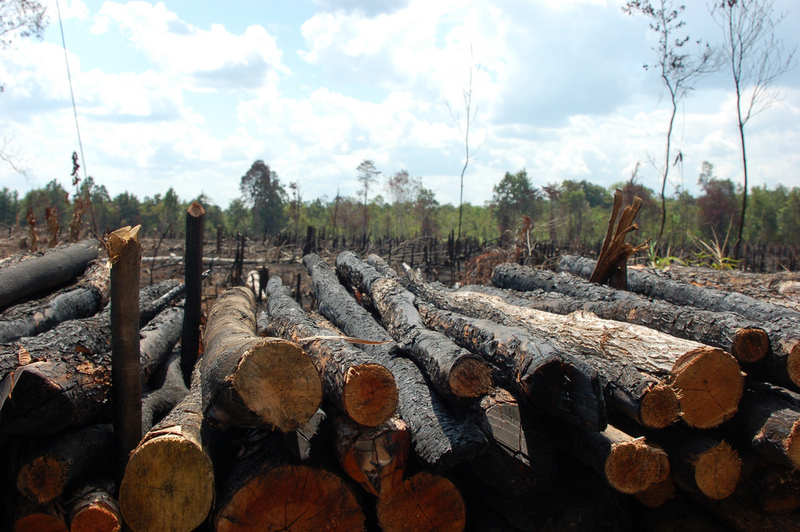 “Illegal logging is complex. Before measures can be taken to curb it, preliminary work is needed to further assess the activity’s causes, complex dynamics, impacts and trade-offs. This was the mission behind our report,” said Paolo Cerutti, one of the study’s key authors and a scientist at CIFOR. Read more about the assessment here. Researchers found that bilateral trade agreements between producer and consumer countries- like the European Union’s Forest Law Enforcement, Governance and Trade Action Plan (FLEGT)– have prompted shifts in the timber trade from industrial export-oriented markets to small-scale logging operations for the domestic market. This pattern can be readily observed in Cameroon, Africa’s largest exporter of tropical hardwood to the EU. Due to a lack of government regulation concerning the domestic wood sector, almost half of the country’s timber is sold on the black market. Please go to https://forestsnews.cifor.org/47684/decoding-cameroons-domestic-timber-trade?fnl=en to access our photo essay with the story of Cameroon’s artisanal loggers and a focus on neglected and invisible ‘shadow workers’. View the photo essay on Forests News here. Since 2008, scientists from CIFOR have been studying the domestic timber sector in Cameroon, alongside Gabon (Libreville), Republic of Congo (Brazzaville, Pointe-Noire), Democratic Republic of Congo (Kinshasa) and Central African Republic (Bangui) in Africa; Ecuador and Peru in Latin America; and Indonesia in Southeast Asia, in an attempt to draw attention to the urgent situation and urge policymakers to take action.